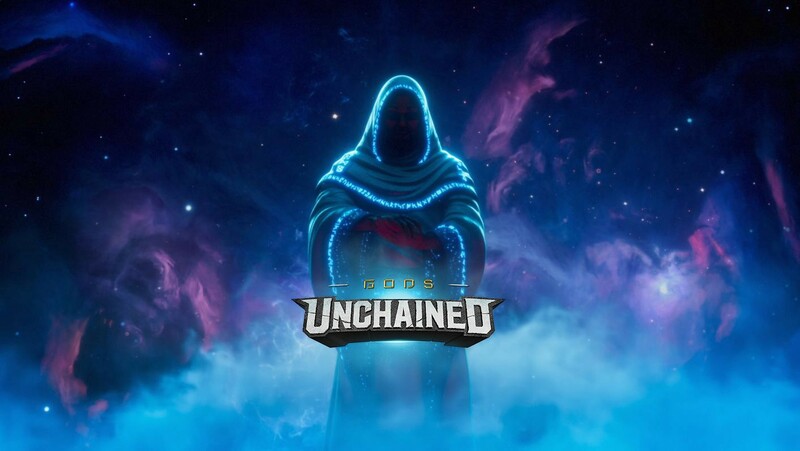 Gods Unchained is using the Ethereum Blockchain to bring true ownership to the cards, making them fully trade- and sellable on any market featuring ERC-721 tokens. Essentially making the game a Collectible Card Game. The cards will be trade- and sellable after a short balancing period, the developers use to make sure cards will not be too overpowered. The team is using a smart contract for the card-pack distribution, making the probabilty of Common, Rare, Epic, Legendary and Mythic cards provably fair. Also the shine of the cards: Plain, Shadow, Gold and Diamond is calculated using this smart contract. Shine has no actual effect on gameplay, it just introduces rarity and cool animations and effects when the cards is played. There is an arcticle by Hackernoon, who examined the smart contract that handles the Gods Unchained Card Pack purchases, below if you are interrested. The team also used a smart contract for auctioning the first Mythic card released which was sold for 146.279 ETH. You can check out the auction page here. There are 2 Mythic cards remaining, of which only one will be in existence at all times. The probability to draw a Mythic card is one in a million and there are a maximum of 4 unique Mythic cards created each year. Gods Unchained may look and play a lot like Hearthstone, but this is not a bad thing in my opinion. This is actually a great entry point if you have played or watched Hearthstone before. All in all it should not be too complicated if you have never played any card games before. The mana, attack and health system and the basics game mechanics can be understood really fast. There are definitly differences in gameplay mechanics though when you compare Gods Unchained with Hearthstone. This could make the game compelling for people who are currently invested in Hearthstone too. Mana Gems 1–5 unlock after 1 turn each. Mana Gems 6–7 unlock after 2 turns each. Mana Gem 8 unlocks after 3 turns. Mana Gem 9 unlocks after 4 turns. In Gods Unchained your Gods have Powers you can chose from at the beginning of each game. Every God has 4 Basic abilities and 1 Ultimate Ability. There is one subtle difference between ultimates and basic abilities. Basic abilities are weaker but can be used every turn as long as you have enough mana. If you chose your Ultimate ability you can use it only once per game as long as you have enough mana, enabling the ultimates to be way stronger in return. Here are some Links to the Gods that will be featured in Gods Unchained at launch, if you want to check out their lore and abilities. Like mentioned earlier ADWCTA is the Lead Balance Designer for Gods Unchained, whom you know already if you read his the article above. If you did not read it, ADWCTA is known in the Hearthstone community for being Top 10 on the Arena Leaderboards multiple times and for the homebrew Legend Decks he created for Hearthstone. He is also a streamer, podcaster, and content creator for the Grinning Goat and the man behind the Lightforge Tier List valuation algorithm. How can you play this game? At the moment the Gods Unchained is in closed beta, and will open up to more people, who bought genesis card-packs, soon. There are some people playing the game already, myself included. The game will be Free to Play after launch though, which is planned for Q1 of 2019, with a core set of 200 cards everyone can use for free. There will be ways to earn cards by playing the game as rewards and there will be future card packs that will be released in seasons. The game is running on PC and MAC at the moment, although it is not really optimized yet to run on most of the MACs out there. The biggest priority for the team is optimizing the game to get a mobile version out as soon as possible though. So this should not be a problem for much longer. A client for Linux is planned too but this is not a priority according to the development team. If you are interrested in playing but have not played any card games befor: I will write a guide for this game soon. The guide will be focused on people who never played Hearthstone or any other card games before.. Be sure to check out my profile in the coming weeks or follow my publication which may be easier.